Are all SIP providers the same? No. 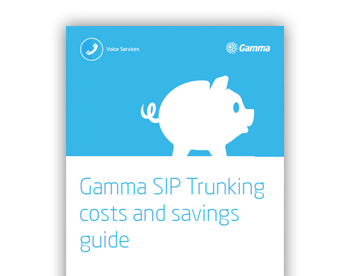 It’s actually not that difficult to set yourself up as a provider of SIP trunks. The challenge is being able to offer a reliable, business-grade service that companies will trust. Even some of the big players are struggling to deliver SIP services which make the grade. As with most things you generally get what you pay for. Read our SIP Trunking fact-sheet here. What resilience options are there? It differs from provider to provider, but most should have some sort of active/standby option where if primary channels are lost a secondary service will be enabled automatically. This can either be to the same PBX on a different IP address or perhaps to secondary PBX at a different location. Some providers will also be able to offer SIP which connects to geographically diverse parts of their network, offering resilience at a carrier level. If resilience is key to your business and you need a belt and braces approach, then it’s possible to also combine the two options above to create a fully meshed service. This can also be overlaid with a cloud-based call control platform, which will route your calls to mobiles or a call handing company, and can be easily managed by you via an online portal. What value adds are available? It is now possible to add PBX-like features to SIP at network level before the SIP reaches your PBX. Call recording, time-based call profiles, automated attendants and voicemail can all be added to SIP trunks and managed in the cloud. All DDI’s are managed using a browser or even an app which allows busy IT staff to quickly divert calls or turn on out of office voicemails. How do I know the quality will be there? Often the voice quality you get is related to the data service you have. It’s important, if you want the best possible service to use a provider who is also an ISP. That way you can ensure QoS is set up to prioritise voice and your calls don’t touch the open internet. Generally you’ll need between 40-100Kbs per call depending on the codec you go for. G.711 will give the best quality but uses the most bandwidth, while G.729 will give you a lesser quality but uses less than half the bandwidth of G.711. Ultimately the best way to work out if the quality is good enough for your business needs, is to ask the provider for customer referrals or even a trial at your premises. Do I need an SBC or Firewall? Well you probably already have a firewall but it just looks at layers 3/4 of the OCI stack. SIP uses layer 7 to set up and close off calls. Unlike a firewall, a Session Border Controller (SBC) has full awareness of the SIP stack and RTP. All SIP service providers will use SBC’s on their networks but you are not required to add them to your network -it depends on how much of a security threat you believe there to be. Are your PBX and SIP providers conformance tested? Not all SIP is the same, so it’s important to ask a potential SIP provider if they have done any conformance testing on your PBX to make sure it will work. Any reputable provider will also allow you to test their SIP before you commit to a contract. Will it work with my Skype for Business? Microsoft require SIP traffic to be TCP and not UDP as with most PBX’s. This means you will either need to purchase an SBC which can handle the conversion or find a provider who has a TCP SIP offering which is conformance tested with Skype for Business. Do you get number management? There are premium providers out there who can deliver call management and PBX’s type features which overlay SIP service but cheaper providers will generally not have this capability.